Yago: Recently you spoke at Eastern Mennonite University (EMU) about your book, Breakthrough. 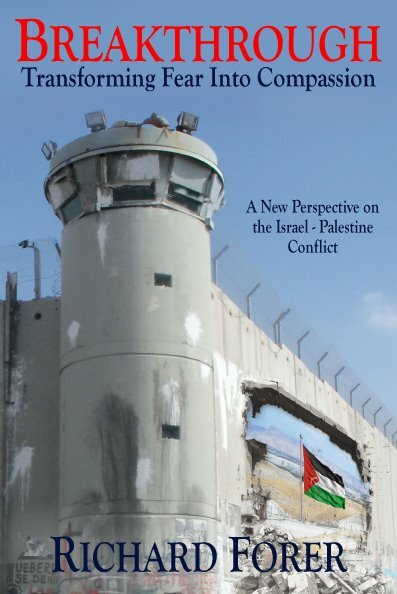 Transforming Fear into Compassion – A New Perspective on the Israel-Palestine Conflict. You shared your personal transformation towards a new understanding of your identity and of the Israel-Palestine conflict. This blog aims to deconstruct the energy of enslavement that penetrates today’s world in many dimensions. In your witnessing, you expressed openly how we can become enslaved by rigid ideologies, wrong perceptions of the world and the illusion of being separated from the world. The energy of enslavement can destroy the beautiful gift of our humanity. Listening to you, Martin Luther King Jr.’s words resonated deep within me: “As long as the mind is enslaved, the body can never be free. Psychological freedom, a firm sense of self-esteem, is the most powerful weapon against the long night of physical slavery.” I would like very much to welcome your own journey in this blog. My first question is related to the very origins of your life and how the “indoctrination” took place. What do you remember from your childhood that began shaping your mind and identity in a clear dualistic way? What role did the collective unconscious of the Jewish people play? Rich Forer: Children are more receptive than adults, more innocent. As children, we take on the beliefs of our parents and teachers, our collective of ethnic and/or religious groups, and our society. Although much of our learning is taught to us directly, many of the ideas we incorporate are taught to us indirectly. For example, we absorb beliefs that are expressed, subtly or not so subtly, through feeling, especially the feelings of our parents or other caregivers. Just as we unconsciously model our speech and physical patterns on these caregivers, our view of the world is likewise influenced by these models. We begin to develop an internal logic, a way of seeing the world that is influenced by the people and institutions around us. This logic has a quality that is unique to each individual. It also has a quality that is unique to the society or collective each individual grows up in. For example, when I was a kid I attended Sunday school. I remember seeing, probably in my first-grade classroom, photographs of David Ben-Gurion and Chaim Weizmann. Ben-Gurion was Israel’s first Prime Minister and Weizmann its first President. At that time, about nine years after the end of the Holocaust, the atrocities perpetrated upon the Jewish people were very present in the minds of Jews. Most of the Jewish adults I knew had relatives or friends who were killed in the Holocaust. I absorbed their ideas, their knowledge of the terrible suffering of the Jewish people, their horror that human beings are capable of such acts of hatred. When I would look at the photographs of these great men, who had created the one safe haven for the Jewish people, I saw men who wanted to protect and save life, not men who wanted to destroy it. These were the leaders of our people and they were making sure that another Holocaust would never again happen. Along with this thinking, this way of interpreting the information that I, a kid, had available, there seamlessly arose the view that Jews would never do to others the shocking things that Adolf Hitler and others had done to Jews. After all, it never occurred to me to want to do such things. And the Jews I knew were basically caring people, so it obviously had never occurred to them to do such things. They were ipso facto incapable of committing such crimes. What they were capable of was planting millions of trees and turning an arid desert into a land of milk and honey. With a childlike faith in the goodness of my people, it was a natural progression in thinking to presume that the non-Jewish world, much of which had remained silent while Jews were being murdered, was different than the Jewish world. In other words, for some inexplicable reason, or perhaps because we were special, Jews were more humane than non-Jews. When I looked at Israel, it was obvious that Jewish soldiers were merely defending their land from the irrational hatred of those who, like Hitler, wanted to harm us. Our internal logic colors the way we see the world. It leads us to interpret the world in ways that reinforce our mind’s conception of reality. The logic of my youth continued basically intact into my adult life. So, when I heard that Israeli soldiers had killed children and other civilians, I automatically responded with skepticism if not outright denial. My “logical” mind explained what really must have occurred, which is that these children and civilians were killed because Hamas or Hezbollah, whoever the enemy was, embedded their soldiers within civilian populations. Children were killed not because of Israeli bullets but because these organizations were so filled with hatred they were willing to sacrifice their own children in order to murder Jews. This is how the unexamined mind projects its content onto the world and creates the way the world is constituted. Yago: During your childhood and adolescence you were indoctrinated to see the world as an enemy to the Jewish people. The horrors of the Holocaust and the pain-body (collective trauma) of the Jewish people were passed on, consciously and subconsciously, from generation to generation. You mention in your book and you just indicated that all your life you had an unexamined belief system that operated and guided you at the subconscious level. How do you describe that? Rich: Every human being is born into a particular society and is given a name and told who he or she is. In these and other ways, each of us assumes the matrix of an identity. In my case, I was told I was a Jew and an American, this is my family and this is my history. These labels, which in truth are only concepts and beliefs, delineated the boundaries of my worldview. My thinking developed along a spectrum from idealism – Jews are good and their leaders honorable – to cynicism – others are neither good nor honorable. I had in fact created a gulf between myself and others, and I was extremely reluctant to question my worldview. The belief that Jews are more humane than other people, that Jewish people would never willfully harm other people became the limit of my ability to see clearly. This was the boundary created by my unquestioning acceptance of the conditioning of my youth. This was also a boundary on my ability to feel. The fear and horror I felt when I read about non-Jewish victims of atrocities could not compare to the fear and horror I felt when I read about Jewish victims. I was so identified with being a Jew, that I couldn’t really put myself in the shoes of non-Jews. This selective sympathy had become so habitual that it seemed perfectly natural and justified. I am convinced that the great majority of those who defend Israel are in the same position I was in. When they learn that hundreds of Gazan children are being killed by Israeli bombs, their reaction is nowhere near as agitated as when they learn that even a single Jew was killed by a Hamas bomb. The root of the limit on the ability to see clearly and feel fully is one’s presumed identity. Whether I am a Jew, a Christian, a Muslim, an Israeli, a Palestinian or American, whatever I may be, my identity is the lens through which I perceive the world. I say “presumed identity” because the conventional worldview in which we identify ourselves as separate and limited individuals is just a presumption. It is not the truth of our existence. It is more like an idea that is so axiomatic it is never questioned. But it has the same limitation as any other idea. It has nothing to do with knowing who we are. One of the realizations that arose out of my spontaneous awakening, which I write about in my book, was the recognition, the knowledge, that I was as much Palestinian as Israeli or American, as much Christian or Muslim as Jew, and that the so-called other is an image in the unexamined mind. This image of self and other is a primal error, and it creates a world of us against them. Let me interject something. I am not denying that there are people who want to harm Israelis. There are always some who want to harm others. In the case of Palestinians, if you investigate the documented history, you find that only a small percentage has used violence against the state of Israel. And even that violence must be looked at in the context of the history, of the taking of Palestinian land and a brutal occupation. What I am saying is that we distort our ability to see clearly. We reduce things to a primitive and inaccurate orientation. We create the other by superimposing or projecting onto him the beliefs and images we have absorbed and created within our minds, our imaginations. When we look at the one we define as the other, we don’t see who he or she really is. We see a reflection of our beliefs about them superimposed upon who they really are. How we see the other, how we interpret his words, what we think he is thinking, what we think his objectives are with regard to Jewish people, all of this is a result of the indoctrination that most of us have accepted without question. A phrase I hear a lot in Jewish society, especially among the ultra-Orthodox, including my own family, is “all Arabs want to kill all Jews.” This belief is part of the collective Jewish mind. If we have not inquired into and seen the inaccuracy of the belief, inevitably when we encounter Arabs we will superimpose this belief upon them. Notice the projection. When we fear that all Arabs want to kill all Jews, wouldn’t we feel safer if our leaders incapacitated all Arabs? And so we manufacture ideas that enable us to rationalize policies that remove or even kill Arabs day in and day out – until they are no longer a threat. “All Arabs want to kill all Jews” becomes “We want to kill all Arabs?” In fact, I’ve heard a number of ordinarily good-hearted Jews express this exact sentiment. Similarly, the fear of genocide against Jews becomes genocide against Arabs. This type of language is frequently encountered, in particular, amongst Israel’s extreme right-wing. I am virtually certain that the principle reason it has been so difficult to solve the Israel-Palestine dilemma, is that fundamentally we are not dealing with a political problem; we are dealing with a problem of identity. This is how it was for me. I could never have understood the dilemma until I understood my own mind and my presumed identity. In my book I describe what motivated me to begin a thorough research of the conflict. But quickly, I ran up against my presumed identity, a lifetime of propaganda about myself and my so-called people. The confrontation was shocking. The anger and shame and sadness I discovered in myself were a raw wound. But the wound was necessary; it was the doorway to the end of fear and confusion. It is hard work to examine our minds and question our identities. Core beliefs are so ingrained that we cannot conceive of letting them go. They are a part of our mortal identities, and they cannot be talked away. They operate in visceral ways, in the subconscious and unconscious. To question them seems unimaginable. In truth, we are terrified of letting go of these beliefs because doing so means death. It means the end of our presumed identity. This is why, rather than inquiring into the patriotic beliefs and images tied to their American identities, so many were willing to send their children to Iraq in 2003 to kill or be killed. Their patriotic identities were more precious than the lives of even their own children. Our identities are mental constructs. From the awakened perspective, they are fictional or illusory. When we let go of the limits set by our indoctrination, we recognize our inherent oneness or connection to all of life. And our prior way of relating to life is seen as dreamlike, not fully conscious of what we were doing or why we did it. Yago: The unexamined belief system goes with another expression of yours that we live in a mental prison. Indeed, we can be slaves of our own minds. This has been said throughout history by the wise men of all traditions. In this regard, Gandhi stated that “freedom and slavery are mental states.” What can you say about that? 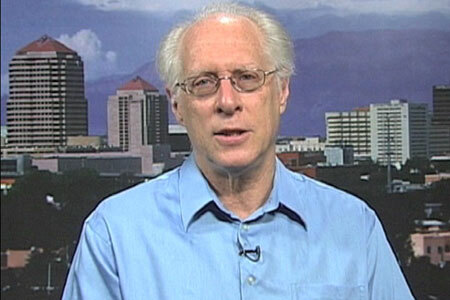 Rich: We may have all the freedoms promised by any charter or constitution. We may come into possession of the entire land of Canaan, and populate it with Jews only, thereby fulfilling what we believe is God’s covenant with the Jewish people. But what if, in order to have satisfied this hunger, which is a consequence of our collective worldview, we gave up our personal integrity and sacrificed our humanity at the altar of dogma and greed? Are we free or are we enslaved to an unexamined mind? If we had to choose between on the one hand fulfilling all of our pseudo-religious and material fantasies while losing our humanity and, on the other hand, living as slaves, but with our humanity intact which is the right choice? So I would agree that we are slaves of belief systems. Until we inquire into our core beliefs, we will never be free. If, as we are bound to do, we look at the world through the prism of unexamined beliefs and images, our attention may not even accommodate an awareness of what is most threatening to our self-images; and what it is aware of will be limited and distorted. Thus, our understanding or interpretation of the information available to us will likely be biased and inhumane. In my book, I say “where a man cannot look he cannot feel and where a man cannot feel he has not really looked. Without both, he will never understand.” The goal of all spiritual work, be it Buddhism, Hinduism, Islam, Christianity or Judaism, is to go beyond beliefs, beyond the separate selves that are framed by beliefs. Once we release our attachments to these beliefs, we will recognize our true nature, which is beyond description, self-identification, or separateness. We are all part of the whole. And because we are all part of the whole, each of us contributes to the collective mind of humankind and each of us is responsible for the suffering in the world. Yago: What role has the Holy Scriptures, the Torah, played in your life? How did your interpretation of the Torah keep you in a state of indoctrination, caught in a mental prison? Could you experience inner freedom and liberation through the Scriptures? Rich: Many people have been brought up to believe that God is an omnipotent, omniscient, infinite yet human-like Being. This belief is the hardest to let go of because it stimulates and appeals to one’s imagination. It is imbued with fear, mystery and wonder, of a Being who created us and can destroy us. This underlying belief resides in the unconscious. As I suggested a moment ago, many Jews and Evangelical Christians believe Jews are the chosen people to whom God gave the land of Israel. This belief is a form of consolation that inflates one’s self-image (identity or ego). They believe it because they want to believe it. They crave the consolation. With this belief, they can rationalize all kinds of abominations – the theft of Palestinian land, the behavior of fanatical Jewish settlers who raid Palestinian villages, poison their wells, destroy their olive orchards, and abuse men, women and children. Many, who take advantage of this belief to rationalize such abominations, also claim that Israel is the only democracy in the Middle East. The two ideas cannot coexist. Yet, the contradiction never occurs to these claimants. Furthermore, any proclamation about Israel’s political structure cannot magically disguise the inequality and lack of democracy that is made possible by these very people. Because they operate out of self-interest, they promote narcissistic points of view that care only about their personal identities and the collective or tribe with which they identify. They are incapable of compassion towards those who are not part of their collective. Let me add that a prominent rabbi who was brought up in the ultra-Orthodox tradition and who reads Aramaic and Hebrew, told me that the Torah does not call Jews “The Chosen People,” it calls them “A Chosen People.” To your question if the scriptures can guide us to inner freedom, I would say that sections of the Scriptures can serve as guides on the path to freedom but freedom can only be found when one gets in touch with one’s heart and allows the heart to be the guide. We have to learn to trust our heart-based intuition. This is not easy because we have been indoctrinated into giving up our power and our reasoning to religious texts and all kinds of authorities. We’ve lost touch with our inner wisdom which, at its most unobstructed, flows from the heart. No text or authority figure, if only we would get in touch with our deeper selves, knows our hearts better than we do. Yago: Could you share how your mind maintained its vicious circle of indoctrination? Rich: Growing up, I experienced some anti-Semitism. I also experienced what I construed as insensitivity toward me and my people. In elementary school our classes would celebrate Christmas and Easter, but there was never a celebration of Hanukkah or Passover. I thought that was unfair. I saw it as an insult to who my people were and to our long history. The hurt I felt from being exposed to anti-Semitic attitudes and insensitivity caused me to retreat more forcefully into my Jewish identity. I became more dogmatically loyal to my people. This loyalty, along with the common belief in Jewish and American society that the Palestinians were always sabotaging Israel’s sincere efforts to make peace, reinforced my certainty in the innocence of my people, which in turn contributed to the certainty that I myself was innocent. It never occurred to me that my unquestioning loyalty to Israeli policy played a role in the subjugation of another people. Instead, I held onto the idea that Israel had always wanted peace but the Palestinians did not and that the Palestinians were willing to sacrifice their own children in order to drive the Jews into the sea. Even though I was not religious and did not attend synagogue, whenever I would encounter someone defending Palestinian behavior, or hear of a suicide bombing, I would become more zealous in defense of Israel, which was really a defense of my self-image or identity. I concluded that Palestinian society was pathologically hateful towards Jews. I generalized the activities of a minority onto the totality of Palestinian society. In the mid nineties, I read From Time Immemorial by Joan Peters. I was led to believe this book was a well-documented history of the relationship between Israel and the Palestinian people. Without bothering to validate the claim, I blindly accepted that the book was in fact well-documented. I did so because what the book said conformed to and strengthened what I wanted to believe. Peters’ main thesis was that the Palestinians were an invented people. They never existed. They were Arabs from other parts of the Arab world who had come to Mandatory Palestine in the first half of the Twentieth Century to work for Jewish landholders, who paid them more than they could earn in their own countries. Because the book added credibility to my belief system, it became a kind of Bible for me. Whenever someone criticized Israel I resorted to Peters’ book to refute their argument. I later discovered that From Time Immemorial had been thoroughly debunked by Israeli and American scholars. Then, in the summer of 2006, Hezbollah, the Lebanese nationalistic political/military organization, crossed over into Israel and killed three Israeli soldiers and abducted two. Israel immediately retaliated with immense firepower. While many accused Israel of disproportionate force and the targeting of civilians, I insisted its response was necessary. In my mind it was obvious that Hezbollah and the entire Arab world would stop at nothing to destroy Israel and the Jewish people. Just three weeks earlier, Hamas had captured Israeli soldier Gilad Shalit on the Israel-Gaza border, so I saw the two provocations as proof that my analysis that the Arab world wanted to destroy the Jewish people was accurate. Yago: Let’s move to the awakening. What provoked this peak experience? How did you manage to break the chains of slavery in your mind? Rich: Hamas and Hezbollah’s behavior and the war in Lebanon outraged me. I complained to a couple of non-Jewish friends about the Arab world’s hatred of Jews and its obsession with destroying Israel. These were intelligent men, whom I admired for their insight and wisdom. In the past they had been critical of Israel but this time, considering that two “terrorist” organizations had instigated hostilities, I was sure they would see things from my perspective. To my surprise and disappointment, however, they disagreed with me. They said that Israel was using disproportionate force, and that this was a continuation of Israeli behavior that had gone on for decades. Their response to my perspective not only fortified my resistance to their perspective, it also fortified my attachment to my Jewish identity. It made me realize that only Jews can understand the suffering of our people. This was yet another belief that separated me from the rest of humanity. A few days after those conversations, a Jewish friend I’d known all my life phoned to tell me he would be attending a Bar Mitzvah out West and would be visiting me in New Mexico, where I lived at the time. I then took the opportunity to complain to him about Hezbollah, Hamas and the entire Arab world. I went on and on for two hours. During my diatribe he mostly let me talk. Occasionally he interrupted, usually saying “that’s not right, that is incorrect,” but he was non-judgmental, basically neutral and unemotional about the subject. Now, I knew that he had studied Israel-Palestine more than I had, so when, at the end of the conversation, he recommended I read two well-regarded Israeli historians for a more comprehensive understanding of the issues, I was open to his suggestion. Because he didn’t resist my point of view, or judge or criticize me, he opened up a space where I was able to say to myself: “I can do that. I have never really studied the history of the Arab-Israeli problem. Maybe there is something I should be aware of.” After we hung up, I went online to Amazon to look for the authors he recommended. When you type in the name of one author, the names of other authors in the same discipline appear. So I compiled a list of books, my chief qualification being that the author had to be Jewish. I was afraid that if I read non-Jewish authors I would suspect bias. I took this list to the local library, checked out two books, came home and put them aside. The next day I picked up Beyond Chutzpah by Norman Finkelstein. I hadn’t yet heard of Finkelstein, so I didn’t know what a controversial figure he was. From the very beginning of the book, he was critical of Israel, with no criticism of the Palestinians. I thought this a little odd, but I wasn’t yet ready to reject the book, especially because it was brilliantly written and meticulously documented. I wanted to see where the book was going. I figured that since the Israeli view was very well known, perhaps Finkelstein wanted to present the Palestinian point of view. Alternatively, I was also open to the possibility that he was a self-hating Jew with a talent for distortion. And the subtitle of his book is On the Misuse of Anti-Semitism and the Abuse of History. I thought: “Who is misusing anti-Semitism, he or I?” So I kept reading. I read about awful things Israelis were doing to Palestinians: home demolitions, stealing land, the use of violence by Israeli soldiers in situations where there was no threat of violence from the other side, lethal violence against children and institutionalized torture of prisoners. At a certain point, I needed a break from this powerful material. When I put the book down, I hadn’t yet differentiated all the feelings I had gone through while reading. I was aware I had experienced a range of feelings but I had been so absorbed by the book’s content that I hadn’t consciously registered them. So I put the book down and closed my eyes. The next thing I knew, I came out of a space that in retrospect I call nothingness. I don’t know how long in chronological time I had been in this timeless space, but the first thing I noticed is that I felt cleansed and purified. The negative feelings I’d experienced while reading were completely gone, without a trace, but now I was able to delineate those feelings. The contrast between my new feeling and the feelings I had experienced earlier was so stark that I instinctively looked around the room, searching for my old feelings. I looked in my bookcase and in the corners of the room, wondering, “Where is the shock, where is the anger at Israel and at myself, where is the shame and embarrassment, where is the sorrow for all that the Palestinians have been put through?” These were the specific feelings that had been stimulated while reading, but now they were nowhere to be found. So I just sat there, in a state of bliss, in the Eternal Present, free of negativity, without a desire to be anywhere or do anything. Then I felt a mild pressure upon my eyes, as if a cloth was covering that part of my face. I quietly acknowledged this sensation. After about a minute, the cloth began to unravel in a spiral motion, first uncovering the left eye and then the right. There was a soothing quality to the unraveling. When the cloth was finally gone, I saw that the world as it really is is empty of all qualities, that in Reality it is a reflection of my inner states of consciousness. I saw that the world was my creation; it was a projection or superimposition of my mind’s content. The veil that had obstructed this recognition had fallen away. Yago: In your book you describe this process as moving from fear to compassion and from confusion to clarity. Rich: Yes, the next thing I noticed was that I could not find any attachment to a particular identity. There was simply a feeling of non-separateness. And in that moment I understood that I was as much Palestinian as Israeli, as much Muslim or Christian as Jew. Next, I started seeing the dynamics of how we project our perception onto the world and then presume that the world we see proves the reality of our perception. In a never-ending cycle of unconsciousness, we persist in creating the same reality or worldview over and over again. This process imbues our internal logic with the deluding certainty that the world truly is the way we perceive it. When my core Jewish identity could not be found, I was no longer imprisoned by beliefs and images that had once emanated from and reinforced that core identity. Nor was I compelled or condemned to identify with one group to the exclusion of any other. Therefore, I could see the world from any perspective, without bias. I understood that the real enemy is the unexamined mind that projects its own suffering onto the world and then blames or scapegoats the world for the suffering. Throughout my being, I felt a tangible sense of peace and realized that peace cannot be found in the world unless it is first found within one’s self. Fear is an inevitable component of separateness, of the attachment to or belief in an exclusive or limited identity. A limited identity implies the existence of something outside its limits. Just as our limited identity is presumed to be our self, whatever is interpreted as falling outside our identity is presumed to be the other and is seen as a possible threat. This is the world of Us against Them or Good against Evil. Having somehow let go of fear, I realized that fear had been a lens that colored the way I saw the world. And because fear prevents us from seeing the world as it really is, it is always accompanied by confusion. But once fear vanishes, we can more easily empathize with the suffering of others. Thus, in place of fear, compassion arises. Compassion is the ability to stand in the shoes of the other and see from all perspectives. Thus, in place of confusion, clarity arises. Yago: You describe your transformation as a letting go of the mind and journeying towards the heart. Could you explain what really occurred? Rich: Letting go of the mind set free the natural intelligence of the heart. This intelligence is always available, but in order to access it we must first let go of the indoctrination that blocks its access. A passage through the darkness of ignorance into the light of understanding is a journey that each of us must make at some point if there is ever to be peace. Yago: It looks like a kind of dis-identification from the thinking process. You were able to discover that you were much more than your thinking process. Rich: Exactly! And there is not a single thought that has to be believed. We can accept thoughts as having relevance but we don’t need to believe them as the absolute, as reality itself. Anything we believe can be looked at and questioned. We can ask of any belief: Is it really true or is there a possibility that it is false or not always true? Yago: Listening to your transformation, I recall the words of Richard Rohr in his book, Everything Belongs: The Gift of Contemplative Prayer: “Real religious conversion can, in fact, take care of years of therapy. To really experience the absolute is to experience the essential pattern. When we are reconnected at our core, we leap over years of problem-solving and years of asking questions about ourselves (…) True religious experience dissolves the fortress of ‘I’ by abandoning its defenses.” Life is a constant journey of shadowboxing. I would like to know how you are integrating and processing this new sense of identity and understanding of the Israel-Palestine conflict. Rich: I would say that sharing my journey and the insights gleaned from it is integrative and part of my commitment to peace. And although the Israel-Palestine issue is the context through which I share these insights, the insights are applicable to all human beings under all conditions. However, in my opinion Israel-Palestine is the core foreign policy issue of our time. It is an archetype of conflict and it can become an archetype of peace. A just resolution can serve as a model for future generations. The Book of Isaiah refers to the Jewish people as “A light unto nations.” Well, Israel and its Jewish supporters are certainly not operating in the light now. But if they can penetrate their darkness and come out into the light of transformation, they can shine that light upon other nations and help the Palestinian people heal from their traumas. For it is only when the Palestinian people are healed that the Jewish people themselves will be healed. And this healing can herald a whole new consciousness of compassion for the world. The key is education and critical thinking. We need to find out for ourselves what is real and what is false. People are mostly decent. Once they learn what is actually happening, they will demand that Israel make a fair peace with the Palestinians. For this to happen, though, we have to stop relying on our leaders for answers to our problems. Leaders are often the most attached to their identities. Their status or sense of importance can be a trap that lures them into a prison of inflated self-images and hinders the ability to empathize with the other. When we open to the possibility that things are not always as they seem, and become curious as to what the real history is, we will begin to see that the behavior of people, no matter how bizarre or self-destructive, does not take place in a vacuum. We will recognize the necessity of taking responsibility for how our inertia, obliviousness and apathy affect the behavior of others, of our society and the world. We will see how interconnected we all are. Rich: I speak wherever I am invited, though invitations are rare. I want to point out that no matter which side of an issue people identify with, they all have their own self-images to contend with. And as I just said, leaders, and others who are looked up to, tend to be more ensnared by their self-images than the average person. My message of self-inquiry challenges self-images, but especially the self-images of those who think they are more important than other people. A sense of specialness or importance acts as a barrier to fresh and unique ideas. The challenge I speak of makes it difficult for me to be invited to speak at conferences sponsored by organizations with a leadership hierarchy. Many leaders have vested interests and are not interested in someone who says that a spiritual problem, a problem of identity, is at the root of the Israel-Palestine dilemma; and that the antidote is inquiring within. They would rather invite speakers who stick with the history. Yago: You talk about the difficulty of getting your voice heard. You also mentioned the difficulty organizations have in accepting your perspective. Let’s look at the positive impact you are having. What kind of people and networks are you engaged with? Who is welcoming and encouraging you in your honorable task? What are your areas of influence? Rich: There are a lot of ordinary people who’ve read my book, watched my TV interviews or come to one of my talks, and they are inspired. My description of how our attachment to a limited identity affects the way we see the world helps them find clarity. Further, my explication of what is really going on in the minds of those who accuse me, because I am critical of Israel, of being a self-hating Jew or anti-Semite, makes a great deal of sense to my audience. Briefly, what I say is that these accusations are, together, a reflexive defense mechanism or projection that is used to deny what my critics are afraid of seeing within themselves. When, for instance, I criticize Israeli attacks on civilians, Israel’s defenders automatically label me an anti-Semite or self-hating Jew. This tactic lets them off the hook. After all, if their label fits, my criticism must be nothing more than slander founded upon an irrational prejudice toward Jews. But what is really happening is that my criticism functions as a mirror. These defenders cannot look in the mirror out of fear that the face of inhumanity will be exposed, that in persecuting the other the way their people were once persecuted and in denying the humanity of the other, they have sacrificed their own humanity. Looking in the mirror would reveal that their criticism of me is actually true of themselves. It is they who are acting out of hatred and irrational prejudice. I explain why it is so common for those who justify Israel’s oppression of Palestinians to equate concern for the lives of Palestinians with hatred toward Israel. The dualistic mind works that way. It infers that those whom it perceives as a threat possess qualities that are opposite of the qualities it presumes of itself. If you are pro-Palestinian, you must be anti-Israeli. The dualistic mind supports oppression as an apparent path to peace. People quickly grasp the absurdity of this proposition. A mind of oppression can never lead to peace, not in the world and certainly not within one’s self. If we want peace we have to go beyond duality, beyond pro-this and anti-that. We have to go beyond labels and the effect labels have on our perception of reality. If we must use labels, let us say that we are pro-humanity, which is both pro-Palestinian and pro-Israeli. That label at least points to the path to peace. Imagine the confusion that exists within a mind that justifies oppression yet claims it wants peace. This mind is so afraid of confronting its self-destructive thought processes that it cannot comprehend that when we oppress people and deny them their rights, they have legitimate reasons to rebel. Instead, it labels the rebellion as terrorism. At the same time, it is oblivious to the terror that it, as an enabler of oppression, inflicts upon a people who every day are denied the same rights it demands for itself. The fear-based mind is not just narcissistic, it is fascistic. Yago: You talk about apathy in today’s world, especially apathy from people who govern. Many politicians appear egocentric and indifferent to the suffering of the world. They protect themselves within their own world of artificial well-being and small pleasures. What can you say about apathy in today’s world? Rich: Apathy gives leaders permission to disregard the consequences of their actions and enables them to mislead us about things they have already done. It encourages them to do things they might not otherwise do if they knew the eyes of the world were focused on their behavior and that they would be held accountable. There is a great deal of economic stress in the United States. When people have to struggle to survive, they don’t have time to pay attention to issues that do not appear to impact them directly. I doubt that more than five percent of Americans have much awareness of the effect the policies of their government has on the Israel-Palestine issue. This is a shame, because if more people became aware, for example, that America gives more money to Israel to spend on its military than Israel spends itself, the outcry would force the United States to change to a foreign policy that focuses on peace rather than on supporting the illegal occupation of Palestinian land. This change would in turn free up resources that could be used to alleviate suffering in this country. Yago: Before, you told us about the role of the Torah in your life's journey. Could you share with us the role your understanding of the Torah (Jewish Holy Scriptures) plays in the on-going conflict between Israel and Palestine? Rich: Instead of cultivating beliefs that conform to the wisdom of their scriptures, people commonly make the meaning of scriptures conform to their pre-existing beliefs. They pick and choose passages that seemingly support their beliefs while ignoring passages that challenge them. Although the Torah, which is considered the word of God, is used primarily by Jews, it is also used by Christians. Many Jews spell the word G-d. The missing letter acknowledges that God is a mystery, incomprehensible to the mind. Yet many of these believers claim with conviction that they know God’s intentions, that He intended to give the land to the Jewish people. They justify the dispossession of an entire people and the humiliating tactics used to facilitate the dispossession by resorting to this dogmatic and self-serving belief. Likewise, they ignore the many prohibitions in the Torah against scheming, stealing and breaking contracts. And they pay no attention to the practice of Tikkun Olam, or repairing the world, in which every Jew is obligated to rectify injustice. They wait for the coming of the Messiah, but they ignore the very practice the Torah says will make the world a dwelling place for the Divine. Is there anything less Jewish than denying God a dwelling place by exploiting His word so that the covetousness of one people can be satiated at the expense of another? In my talks I emphasize that, rather than resorting to dogma, opening ourselves to the intelligence of the heart is how we prepare a dwelling place for God. This is Tikkun Olam, and it is the same wisdom all the great scriptures of mankind intend to transmit. Yago: In your book you make reference to the Book of Deuteronomy, quoting the passage: “You shall love the stranger;” and you also find similarities between the Koran and Torah. You are pointing out a common message in the three monotheistic traditions. Could you elaborate on this? Rich: Some form of “love the stranger” is found in every religion. In Christianity “love thy neighbor” is a core principle. A Muslim friend of mine, who read my book, told me that I had made a mistake in citing the Talmud as saying “Whoever destroys a single life is as guilty as though he had destroyed the entire world; and whoever rescues a single life earns as much merit as though he had rescued the entire world.” She told me that the quote comes from the Koran. I learned that this wisdom exists in both religious traditions. Over time wise people in all religions have discovered basic truths, including the truth of our real nature, beyond the mind or separate self. Yago: Your transformation has allowed you to compassionately enter into the worldview of the other, in this case the Palestinian people. Looking back at your life before the transformation, what does it mean and feel to be imprisoned in indoctrination or, in this case, the collective pain-body of the Jewish people? How is your compassion and sense of oneness reflected at the level of feelings towards Jews who are still caught in a narrow and partial view of the conflict? Do you know in your own living experience what they are going through? Rich: I do know what Jews are going through because I went through the same thing. Nonetheless, I sometimes become angry when I hear someone exclaiming: “Palestinians are terrorists who want to kill us all,” or when I hear people justifying the killing of children. It is difficult for me not to become angry. And although mine may be a righteous anger, I know that I can be more effective in encouraging people to look into the history when I discipline myself and remember their point of view, which was once my own situation. So it is important that I stay aware of my thoughts and feelings. I want to emphasize that my goal is not to convince someone that my point-of-view is more accurate than theirs. I often say in my talks that I do not want anyone to believe what I say. Rather, I want them to find out for themselves the history of this subject. Only personal investigation, with an uncompromising intention to discover the truth, allows one to take responsibility for their role in the suffering of others. I need to add, though, that I have not met a single Israeli loyalist who has impartially studied the actual history. If they had the decency to do so, most would discover that they have character assassinated the Palestinians and expedited their misfortune. The real conflict for these loyalists is not Israel versus the Palestinian people. The real conflict is the inability to integrate the hard-to-believe but inescapable awareness of Israel’s treatment of non-Jews with unquestioned loyalty to the Jewish state. One consideration recognizes Israel’s dark side; the other denies the dark side exists. Only by committing myself to the truth was I able to apprehend the astonishing reality that criticism of Israel was never my principal concern. I had never defended Israel, at least the Israel that actually exists. I had defended an idealistic image that was projected onto the real Israel. This projection enabled me to repress and deny painful revelations that I would have learned about Israel and myself if only I had looked without the influence of an unexamined mind. Denial and projection go hand in hand. What I denied about Israel and about myself, I projected onto the other, who automatically and necessarily became my enemy. My reaction to criticism was motivated more by the fear of taking on the challenge that criticism of Israel posed to my identity than by fear for Israel’s survival. Yago: We are invited to face and dialogue with conflict with a Yes of “basic acceptance” of what is occurring, but at the same time to say No to the injustices that undermine a human being’s true potential. To be able to combine both attitudes simultaneously, we need to integrate that sense of oneness that you experienced in your transformation, to incorporate a compassionate, non-dualistic mind in our journey in the midst of conflict. Rich: It would be naive to expect people to go through as radical a transformation as I underwent, though it may occasionally happen. Most people are capable of applying themselves in pursuit of the facts of history. This is why I emphasize that the most effective path is to find out the history for oneself. If we do, we will finally figure out that we have been deceived by propaganda and one-sided belief systems. We will recognize that we have supported injustice and we will understand the various forms that Palestinian resistance has taken over the years, both violent and nonviolent. This is a more compassionate view of the world. And the compassion liberated in our new understanding of this particular conflict will affect the way we see conflict in general. In a peaceful world people will be less anxious. They will be more capable of self-inquiry. Mankind’s journey toward a more humane consciousness will accelerate and our materialistic society will move closer to spiritual values as greed and acquisition begin to lose their seductive allure. Yago: We are moving towards the end of the interview, I know you were in Gaza in November, 2012. What is the current situation there? Rich: Gaza is virtually unlivable. The economy is dying. Between 1996 and 2000, exports averaged 1,736 truckloads per month. In 2011 exports averaged twenty-five truckloads monthly. I am not kidding. I did say twenty-five. The Israeli blockade only permits enough food into Gaza to keep its residents at a subsistence level. Anemia, malnutrition and stunted growth afflict substantial portions of the population. Eighty percent of residents are dependent on UNRWA (United Nations Relief and Works Agency) for food. Israel has created buffer zones inside Gaza that seal off access to thirty-five percent of Gaza’s agricultural land. If a farmer dares to venture inside or even near these zones there is a high probability he will be shot. Gaza used to have thriving citrus and olive industries. Neither industry exists anymore, destroyed by Israel. Ninety percent of the water is so polluted it is undrinkable and the availability of clean water is limited, so that per capita water consumption is well below the minimum standards set by the WHO (World Health Organization). Ninety thousand cubic meters of sewage is dumped into the sea every day, yet Israel does not allow Gazan authorities to build water treatment plants. High levels of nitrates and chlorides, related to blue baby syndrome, kidney disease and prostate cancer, are found in the water. Every one hundred meters along stretches of the Mediterranean are wells from which Israel takes clean water for its Jewish residents, none of which is available to Gazans. Over 100,000 tons of garbage sits on the streets of Gaza. Everywhere I went I saw garbage. Israel does not permit the government to import garbage trucks. The Oslo Accords stipulated that Palestinian fishermen could sail twenty nautical miles out to sea to harvest their catch, but Israel reduced the limit to three nautical miles. To catch the large fish, fishermen have to go at least eight miles out to sea. After Operation Pillar of Cloud, which ended in November, the fishing limit was extended to six miles. Nonetheless, just as happened prior to Pillar of Cloud, Israeli military vessels frequently confront fishermen within the limit, force them to swim to the Israeli boats, strip off their clothes and swim back to their vessels. The effective rate of unemployment, when you include people who have given up looking for a job, is over fifty percent. Young people with college degrees cannot find work. They are prime targets for recruitment by extremist groups. There are nowhere near enough construction materials, schools, houses, medical supplies, hospital beds, doctors, nurses, etc. I could go on and on. According to UNRWA, by 2020 Gaza will have reached the point where life is untenable. All of this is economic warfare, collective punishment at its worst. And none of it adds to Israel’s security. If anything, by flaunting its contempt for non-Jewish life, these restrictions inflame anti-Semitism throughout the world. The international community has to insist that Israel abide by international law. For the sake of Palestinians, Israelis and Jews worldwide, it must demand that Israel’s government respect the dignity of human life. Think about it. If all countries adhered to these laws, which have evolved over centuries to safeguard the well being of all peoples, the vast majority could look forward to a future for themselves and their children. This vision may be idealistic on my part but it is a future we all must work towards. Yago: Are you networking with Palestinians or Jews who have gone through a similar experience of integration of a compassionate and non-dualistic approach to the conflict? Or do you feel alone in this process? Rich: I do feel alone, but there are a lot of people who appreciate my point of view; and even though they haven’t had such profound an awakening as I had, they understand that peace can only prevail when both peoples are treated equally. One of the things I often say is that the human rights movement, at least with regard to the Israel-Palestine issue, is very small. There is a need for many more people so that we can reach a critical mass where our support for the rights of all, not some, will begin to be felt within the halls of Congress and other centers of power. Another thing is that people, who are into non-traditional types of spiritual practice, such as Buddhist meditation or A Course in Miracles, as well as teachers like Eckhart Tolle and Byron Katie, must get involved in human rights. The world needs their wisdom and their support. Their numbers probably exceed by a wide margin the numbers found in the human rights field. I think the two fields should be combined so that one completes the other. Spiritual seekers need to understand that their search for enlightenment, liberation, happiness, whatever they call it, cannot truly be fulfilled if it is merely about them. They need to understand that we are all Palestinians. Of course, we are all Iranians, Americans, Chinese and Israelis too. And, as I said earlier, we are all responsible for the suffering in the world. But the Palestinian people, to a large extent, have become an archetype for loss and suffering. As such, their healing can play a critical role in the future of the planet. People involved in human rights, and there are some amazing people, need to work toward a deeper insight into the nature of reality. They need to combine their activist approach with self-inquiry or self-reflection. If they fail to do so, the ancient paradigm of victim becoming oppressor, of one group being made a scapegoat for another will continue. Yago: My final question is in line with your last words, which for me are fundamental. Could you summarize the characteristics of a peace builder in the context of today’s world? Rich: We have to become more self-aware and we have to acquire self-understanding. To acquire self-understanding we need to inquire within and discover how our indoctrination influences the way we see the world and how it convinces us to favor one group over another. This is how we find our real humanity. When we find our humanity we will recognize the humanity of everybody else. We will see that we are all in this together. If we engage this process, prejudices we were never aware of will reveal themselves and be resolved. Next, we need to put our new understanding into action by finding out, in the case of any subject that affects people’s lives, the actual documented history. Regarding Israel-Palestine, this commitment will take us beyond the myths and false beliefs that are so characteristic of the issue. I always tell people “Don’t believe what I tell you. If you simply believe what I tell you without finding out for yourself, you may believe the next person who comes along, especially if he is more persuasive than I. And that person may be promoting a self-serving worldview.“ So we need to initiate a practice of doing our own research and finding out, as best we can, the real history. This is not as difficult as it seems. Israel-Palestine is the most legally documented conflict in Mankind’s history. If we do our research we will understand why people behave the way they do. We will see the effects of fear and greed. We will understand the despair and hopelessness that can lead people to commit acts of desperation. We will discover how, by denying the humanity of the other, we lose our own humanity; and we will recognize the internal logic that induces us, in the name of security, to brutalize the other. We will have acquired greater compassion and clarity. The world will begin to transform itself into a realm where each of us has the opportunity and the resources to pursue our dreams. Yago: Rich thanks a lot for the wonderful contribution to this blog. Rich: Thanks to you, Yago! My first trip to both sides of The Wall in Israel Palestine began in 2005. I thought BEFORE I went I could remain neutral-but as knowledge brings responsibility, conscience called to me to TRY to educate USA Christians regarding the true facts on the ground in the so called Holy land--which is in pieces due to Israel's illegal apartheid settlements and roads. "This is why I emphasize that the most effective path is to find out the history for oneself." The offerings of this struggling Christian anarchist can be read at my site and in my 4 books.